We are one of Yorkshire's most reputable and best known used vehicle dealerships. Located four miles east of York and conveniently just off the A64 between York and Malton in Flaxton. We've been serving York and the surrounding areas for over 49 years. With around 50 used vehicles always on display ranging from small hatchbacks, Saloons, MPV family cars and Vans to large 4X4's. We have something to suit most requirements for all our customers. All our retail vehicles come with 12 months MOT, extensively checked, prepared/serviced as required in our onsite workshops. Valeted and cleared with an experian/HPI check. 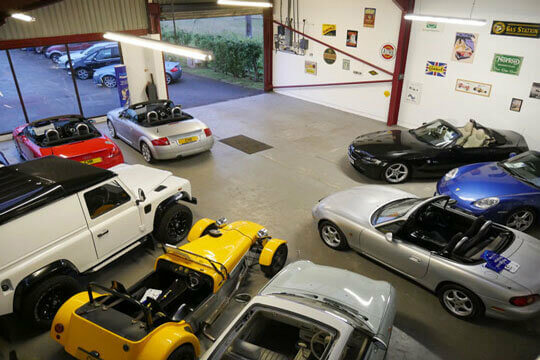 We will offer a true market valuation against your old vehicle and have a wide range of warranties to suit your motoring needs. We also offer industry leading car finance packages for all of our customers at C H Render, with finance available regardless of your credit rating. View our latest selection of used cars for sale in York here. MOT - We complete a 12 month MOT on the vehicle prior to delivery by our very own onsite fully approved VOSA MOT station. SERVICE - Every vehicle is extensively checked and we adhere to the time and mileage service requirements, as outlined by the manufacturers, on every vehicle we sell. COSMETIC PREPARATION - All vehicles are prepared to a very high cosmetic standard, covering paintwork, wheels and trims. FULL VALET - Every vehicle sold benefits from a full professional valet by our experienced team, making getting in your new vehicle for the first time a joyous experience. WARRANTY - We offer RAC approved nationwide warranty cover on every vehicle we sell, with a dedicated helpline to call in the event of the unexpected happening with 12 months RAC breakdown included. HPI AND HISTORY CHECK - We ensure every vehicle we sell has not been written off, stolen or has any outstanding finance secured against it by using the services of Experian. FINANCE PACKAGES - We offer industry leading car finance packages for all of our customers at C H Render, with finance available regardless of your credit rating. See if we can beat an existing quotation on a loan before arranging your money, our rates are exceptionally low, please ask for details! EXTENDED WARRANTIES - You have the option to upgrade the standard warranty we offer with every vehicle giving you additional peace of mind. Click here to get in touch with C.H. Render - quality used car retailer of York. 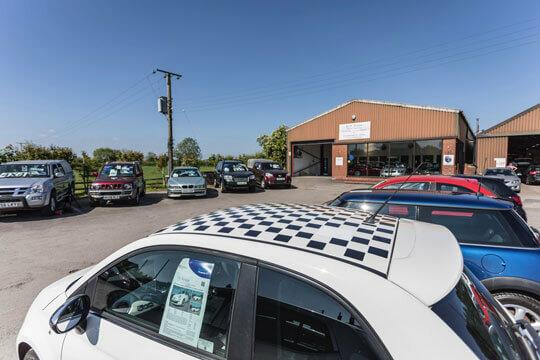 One of Yorkshire's most reputable and best known used car dealerships serving York and its surrounding areas for over 49 years. Minor services from £69. Major services from £99. Bodyshop repairs are not always as expensive as you think. We've got packages tailored to you. Our finance team can help you get the best finance deal based on your budget. 0% deposit is also available.